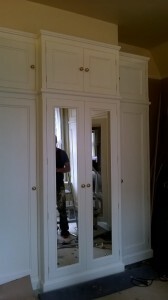 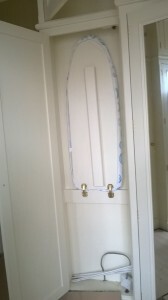 We have been out this week fitting 3 large fitted wardrobes. 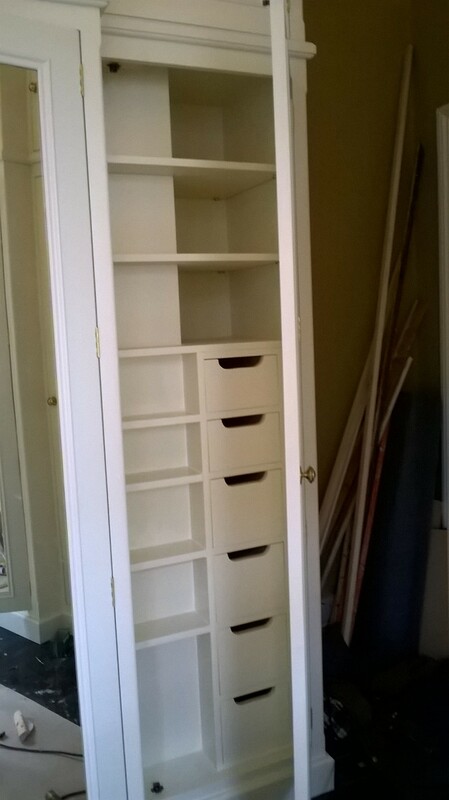 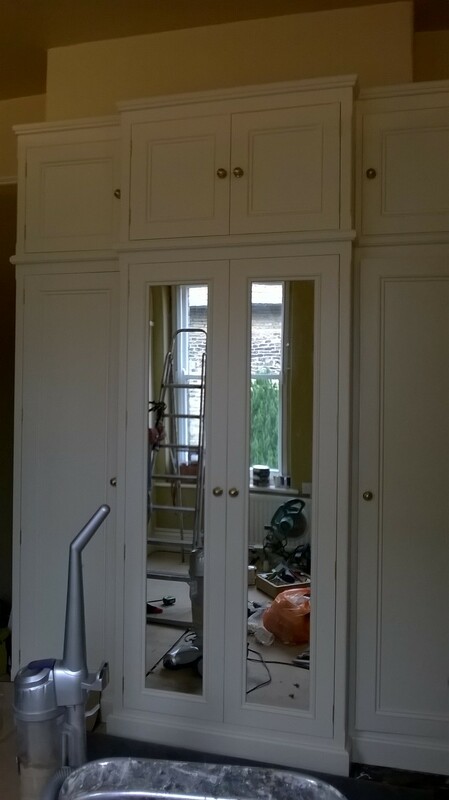 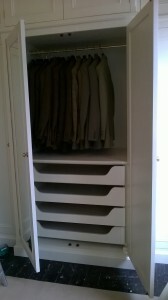 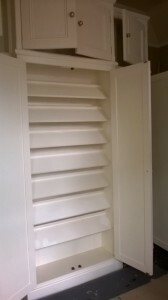 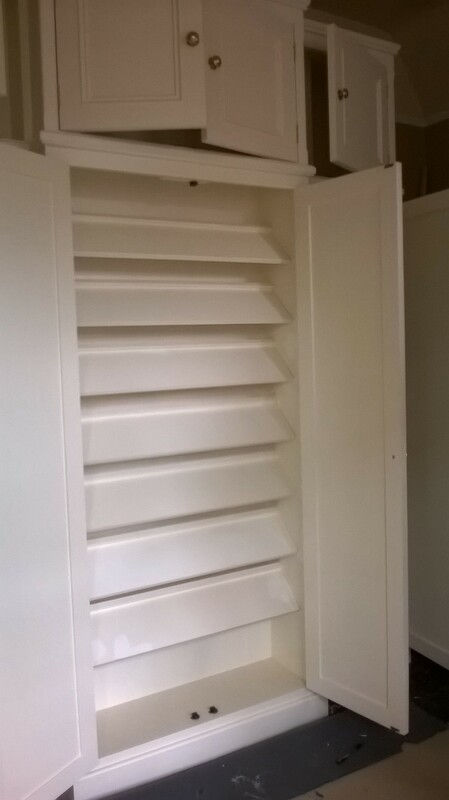 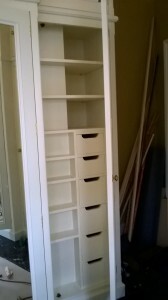 One of the wardrobes has been built around the chimney breast so there is no wasted space in the room. 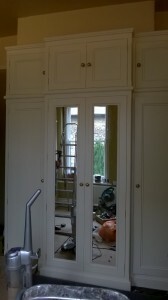 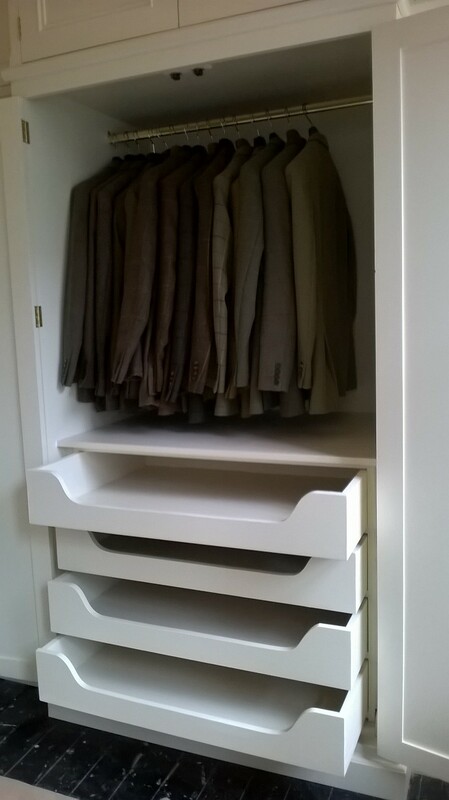 It has meant that there was 3 fairly narrow cupboards with no room to hang any clothes. We have therefore incorporated many unique ideas. The main bit in the middle has 7 shoe shelves. 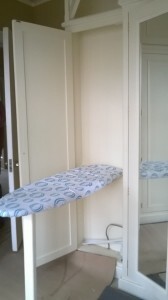 The shoe heel sits over the back lip of the shelf so they can be arranged clearly and not all end up in a pile at the bottom! 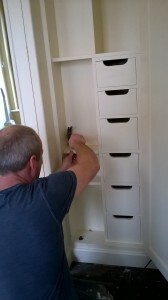 There is a small draw unit for bits and pieces with some nifty little shelves for bottles etc. The other side was extremely narrow but was perfect for a drop down ironing board! 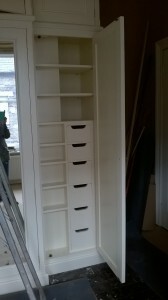 A brilliant example of getting the best out of your wasted space!